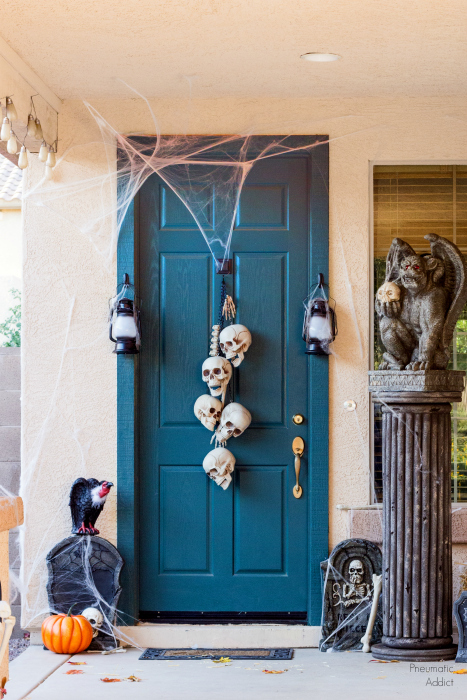 Last week I shared my spooky Halloween front porch with you guys and told you I would start sharing tutorials. I've got a really easy one for you today! 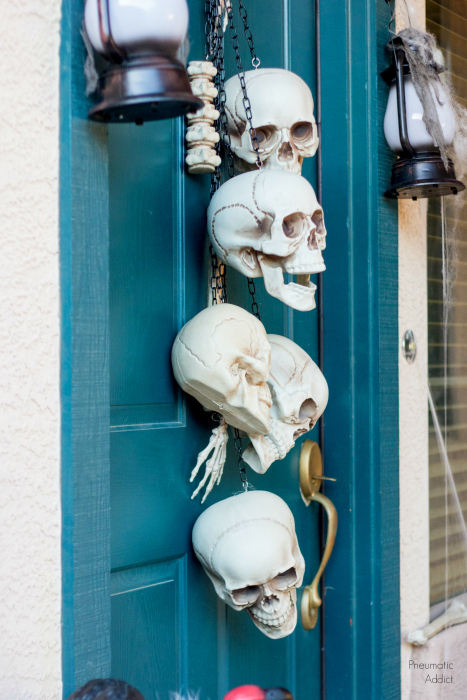 Scroll down and find out how to make this easy, skull Halloween door hanger. I found all my supplies locally at Home Depot, which was way cheaper but I provided affiliate links below if you're the Amazon type. 1. 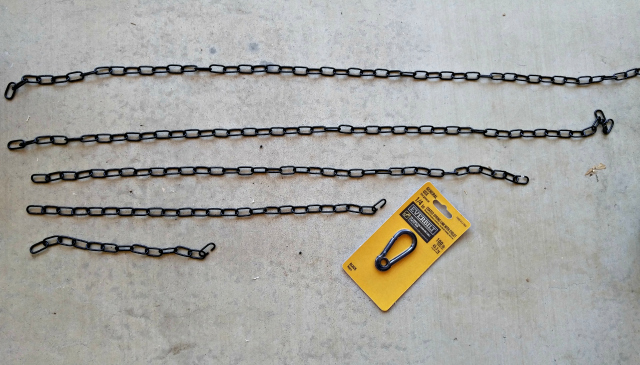 Using your wire cutters, cut your chain into 5 lengths. You want each section slightly longer than the last. 2. 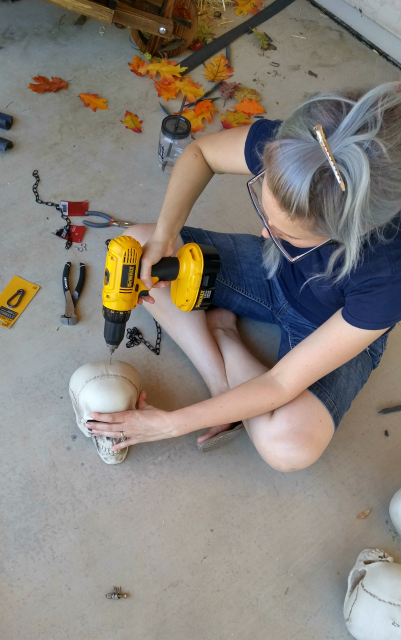 Use a 1/16" drill bit and drill a hole on the top, towards the back of each skull. To give the hanger more randomness, I varied which side of the skull I drilled the whole. Next, screw a hook eye into each hole. 3. 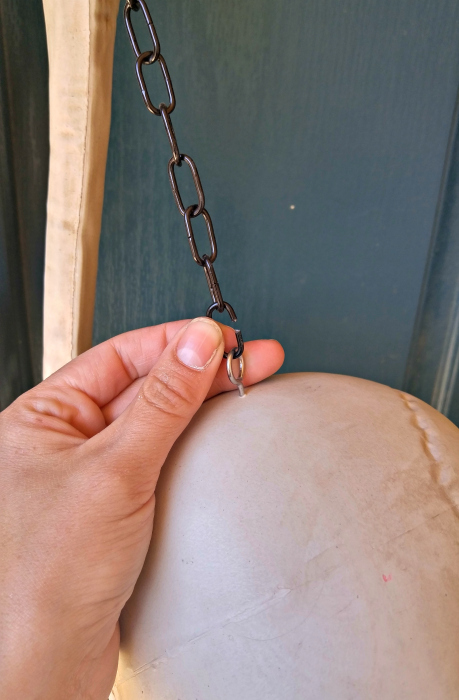 Then, snip off 5 links of chain to turn into hooks. 4. Hook a skull on each length of chain. Hook each chain onto the carabeaner. 5. Clip the carabeaner onto the metal ring (I used an old bracelet). Install the Command hook high on the door. 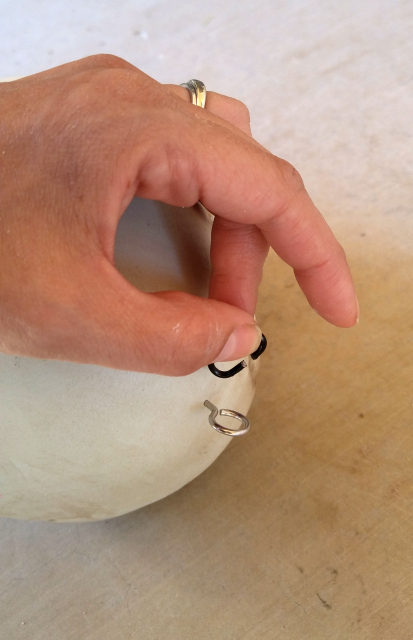 Hang the ring on the hook, and you're done. It was so fast and easy to make and took maybe 30 minutes to make. I had an extra bag of random bones, so I threw in a piece of spine and a bony hand. 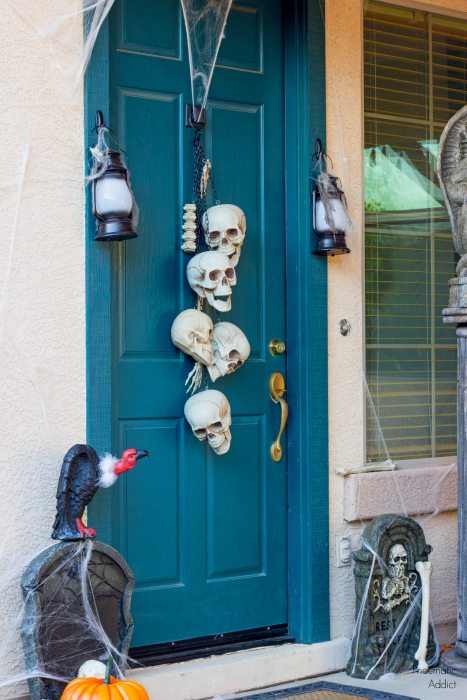 The skulls totally fit with the rest of the creepy stuff on our front porch, like my DIY faux stone column. 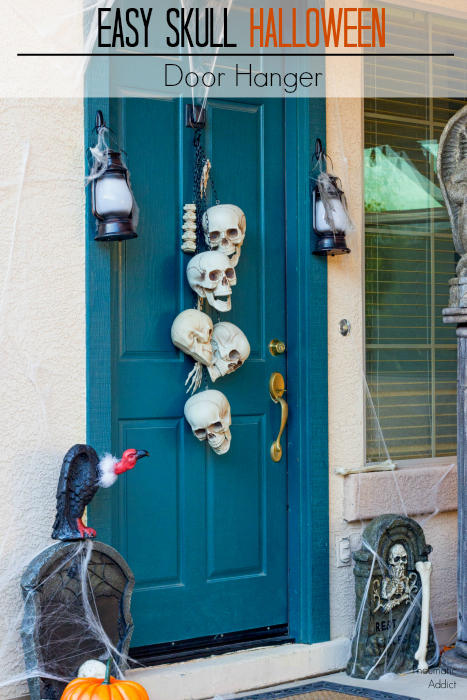 You still have plenty of time to deck out your door for Halloween! Pin the image below to save the idea for later.